Jonathan Epstein is a Partner of GreenOak, based in Los Angeles. He is responsible for GreenOak’s real estate activities in the Western United States, working on acquisitions across property types, including office, multifamily, retail, hospitality and mixed use. 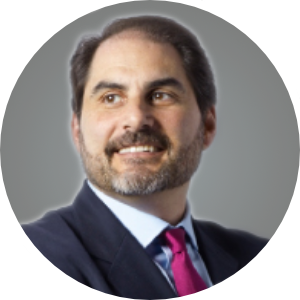 Prior to joining GreenOak in 2011, Jonathan was President of Hackman Capital Partners and Co-Managing Partner of the firm’s investment entities. Hackman Capital grew, under Jonathan’s direction, from owning and managing 3 million square feet to 16 million square feet in nine states, including California, New York, Massachusetts and Texas. Previously, Jonathan spent 14 years at Lehman Brothers, where he was primarily responsible for acquiring or investing in over $20 billion in real estate-related assets in the United States, Europe and Asia. During his career at Lehman Brothers, Jonathan built and led its Asian real estate investing, special situation and distressed investing, real estate investment banking, and lending efforts in Asia. Jonathan began his career at Merrill Lynch in the United States in structured finance and principal investing. Jonathan received a bachelor’s degree from the School of Management at Boston University.